The family of missing woman Natalie Hemming have been informed that a body was found in Hertfordshire this morning (Sunday, May 22),. 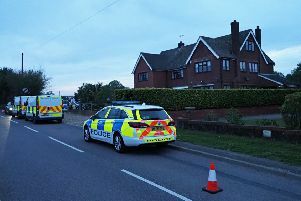 It is believed that a member of the public called Herts Police after discovering the body in woodland at Toms Hill, Chandlers Cross in Hertfordshire. At this point the identity of the woman is unknown, and formal identification processes will have to be undertaken. Earlier this month a 42-year-old man was charged with murder in connection to Natalie Hemming’s disappearance. Paul Hemming, from Alderney Avenue, Newton Leys, Milton Keynes has been charged with murder. Natalie, a 31-year-old mother-of-three, had not been seen since Sunday, May 1, in Hemel Hempstead.